Find hidden money in a divorce. 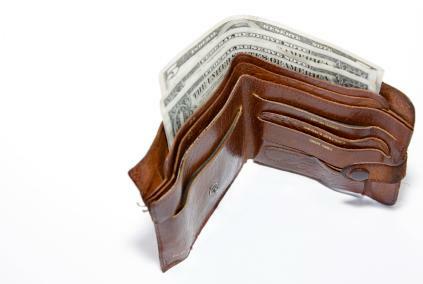 A situation where a husband hides money in divorce can have serious consequences. With a bit of detective work and some creativity, it is possible to find money and other assets that a husband (or wife) is trying to keep excluded from marital property in a divorce action. There are several places that a suspicious spouse (or their attorney) can look for hidden assets in a divorce. You can locate a paper trail if you know where to look. You will need to note how many employers paid the husband during the year. The W-2 forms also indicate whether he has a 401K or a 403(b) plan that may be considered marital property. A schedule attached to the income tax return will identify the source of any interest income over a set amount. You will also want to check the income tax return for any tax-exempt income, since this may lead to the discovery of the source of that income. Your goal should be to track down the financial vehicle that generated the interest. If a payout was received from an IRA account or a deferred-compensation fund, those funds should be traced to determine how they were disposed of. Losses from previous years can be carried forward and credited against income for future years. This tax credit may be considered a marital asset in some circumstances. The fact that a loss appears on the income tax return indicates that an asset did exist. It's important to determine whether it was disposed of, and when. This is a clever example of a way a husband hides money in a divorce. If his plan is to file for divorce, but not immediately, he may pay too much in taxes during the year in anticipation of getting a large income tax refund after the divorce is final that he can keep for himself. Steps should be taken to confirm that any property taxes indicated on the return relate to property that both parties are aware of. Owning property in another jurisdiction may be a sign that there are other assets or sources of income that need to be investigated. The information provided to a bank or other lender must be truthful and accurate; otherwise, the person has committed a federal offense. These documents should be included in the discovery process during a divorce, even though your lawyer may need to get a subpoena to gain access to them. More than likely, your lawyer will decide to ask the husband to disclose each lending institution that he has a relationship with. Armed with this information, the lawyer can ask for copies of the relevant records from the bank. In some jurisdictions, when the money is discovered, the Court will consider whether an order was in effect to stop either party from disposing of assets as well as what the funds were used for. However, in situations where the Court determines that one spouse deliberately tried to hide money or other assets from his or her spouse, that person should not be allowed to reap any benefit from having the asset. The Court may determine that the money all belongs to the "wronged" spouse.